Resistance: if not now, when? After a full year of Republicans blocking any Supreme Court nominee, the Democratic minority is considering doing none of that, in order to preserve the filibuster for some fight down the line. This is all deeply troubling whether you are moderate, liberal, or leftist. The idea that this is different because Scalia is a conservative justice is absurd, considering that Justices Breyer and Ginsburg are well over 75 at this point. Deciding to cement the 5-4 split for an indefinite amount of time (years? decades?) while mass protests are already far beyond small concessions certainly shows the side of the Democratic Party that explains their inability to defeat the most unelectable person in living memory last November. Republicans control all of Congress, the Presidency, and a large majority of state legislatures and governorships. This includes almost all the key swing states that Clinton lost (Wisconsin, Michigan, Ohio, Pennsylvania, North Carolina, Florida). 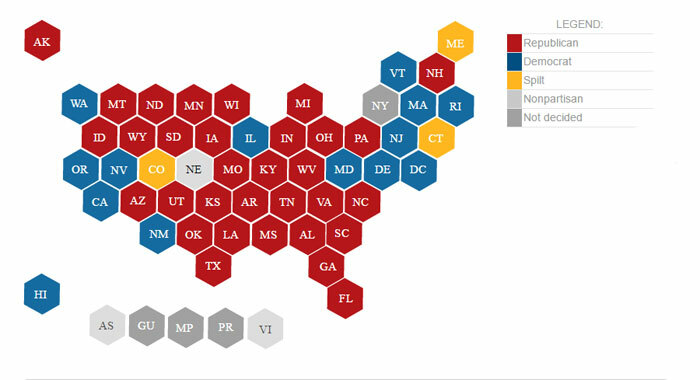 These states also had competitive Senate elections, which are also state-wide and have the same voting infrastructure as presidential elections. It is clear that voter suppression was a huge factor in races at all levels in 2016, and states that wish to increase such efforts are not going to face Justice Department scrutiny anymore. Thus, 2018 and especially 2020 could very well be, in the absence of strong resistance, basically unwinnable for anyone not right-wing- independent, Democratic, or otherwise. The idea that everyone should wait out Trump’s first term, which was a big idea on Jan. 20, is pretty much dead by now. It’s clear that nobody really knows what the US political structure will be in Nov. 2020. The resistance has already begun. Don’t assume the future will be what you want or need it to be. Fascism of any type and degree has never respected democracy, and used it as a weapon to silence opposition. If you don’t like what’s being implemented now, stopping its enactment is a far better idea than waiting for some point down the line when it can all be repealed.